The most potent and technologically advanced sound system available, the STM Series pushes the boundaries of design and engineering. 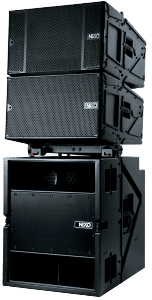 Working in combination with new-generation digital processing and amplification, this system can be customized to suit every imaginable scenario with unrivaled clarity and definition. 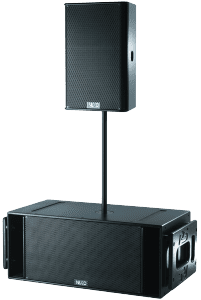 Characterized by it’s warm and musically transparent frequency reproduction the GEO design presents an elegant, ergonomic sound reinforcement solution for any application. 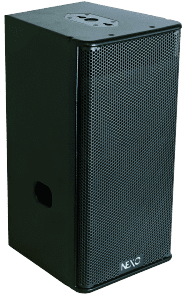 Flown as a 12 cabinet array, or configured as a compact mobile system, the S12 technology offers singular price/performance balance, without compromising the listener’s enjoyment. PS Series loudspeakers have a hard-earned reputation for performance and reliability, with countless examples performing night-in, night-out, for more than a decade, without a single problem. This series can be quickly and easily configured for main PA use, floor monitors, or flown vertically or horizontally in installations or for use as side/rear fills.